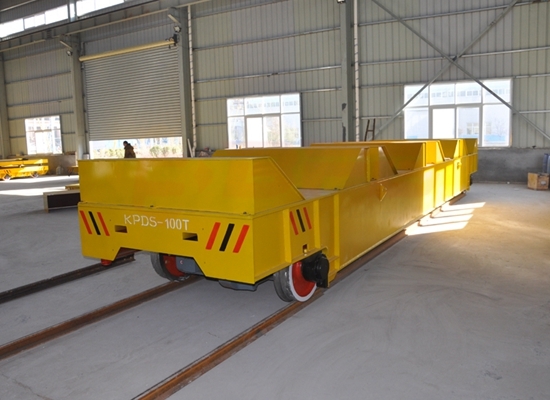 Rail transfer cart is a flexible and functional device. 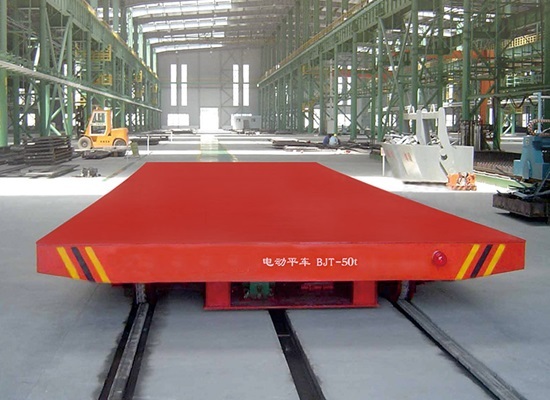 With easy use, compact structure, high working efficiency, large loading capacity, it is widely used for transporting material in many places, such as factory, industrial site, warehouse, railway building site. 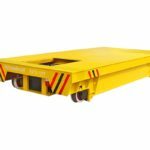 Space-saving, ergonomic transfer carts can help you reduce the use of forklifts and overhead cranes to move and handle large payloads-while improving safety. Electric power has become a more and more import power in our daily life. According to the calling of time, we produced different kinds of electric transfer carts to be an environmental friendly enterprise. 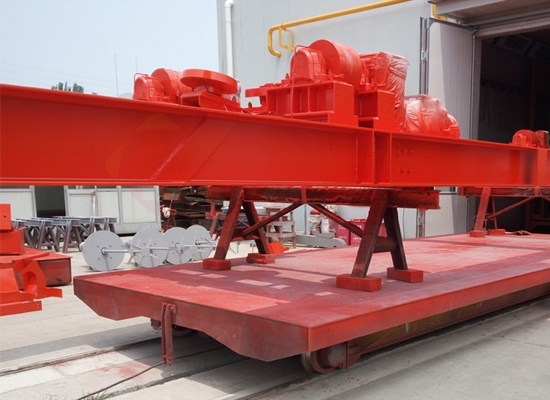 Our transfer trolley for steel mill is used in cement ground. The wheel is made up of polyurethane and its solid. When it’s working in the factory, it can keep the ground from being broken. We are a professional company in transfer trolley manufacture, and has been specializing in this line for over 30 years. We produce various kinds of trolleys for industrial using. 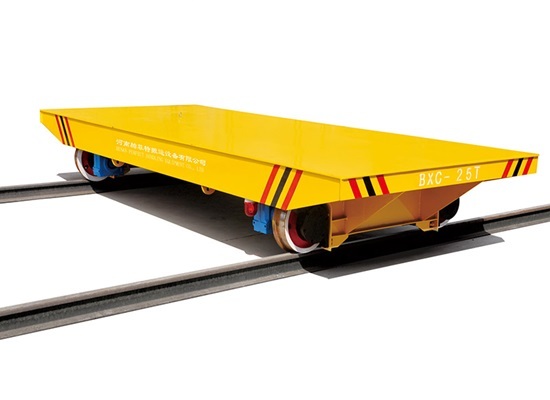 For instance, you can use our transfer trolley to transport cargo in airport, wharf and mine. You can also use our products to transport materials in factory. All in all, we can provide you with different kinds of transfer trolleys for you according to your requests. 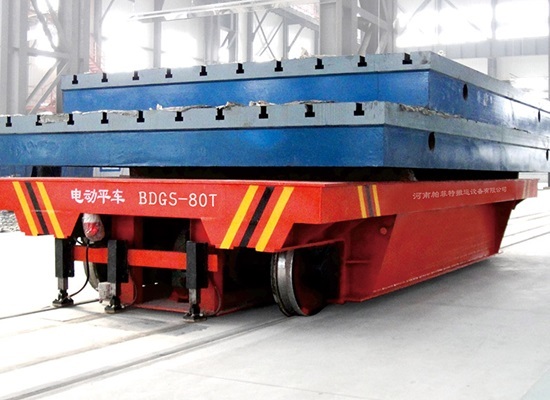 Why choose our rail transfer cart? Minimize lost time waiting for parts and material delivery. Reduce potential damage of material during transport. Improve plant safety using controlled movement without overhead loads. Improve visibility of load and surrounding area during transport. Simplify control during load movement with easy-to-operate user interface systems. Increase maneuverability compared to towing options. The table size, table material, table type, rated load, color, wheel base, detachable structure can be customized. You can mount on hydraulic lift table, dumpling, climbing, V shape, PLC control system, automatic positioning, clamping device, anti-explosion, heat-proof function, weighting system and many other devices according to your specific needs. Safety must be in the first position. We can equipment alarm light, emergency stop button, radar detector, buffer, V shape support, guardrails and some other devices. We also have round corner, hold pendant box, lifting hole. We can meet all the contents above according your previous order. 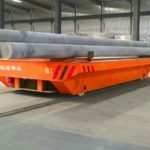 Transfer cart price is influenced by many factors, such as lifting tons, the cart size, the manufacturer, the traveling distance, the working condition. 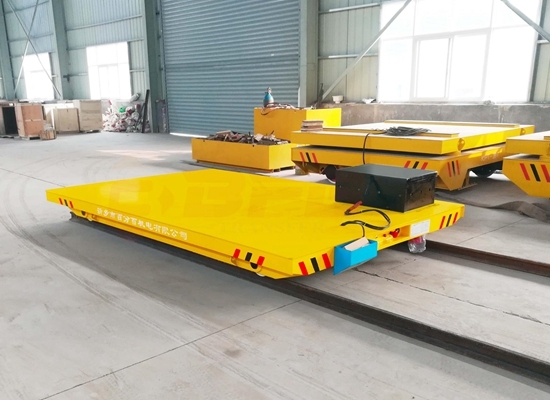 Our company provides types of transfer trolley for sale, such as battery powered transfer cart, cable drum powered transfer trolley, conductor rail powered transport cart, busbar powered rail trailer. 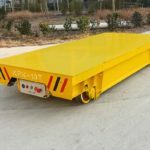 All these transfer carts are designed and produced according to national standards and safety requirements. 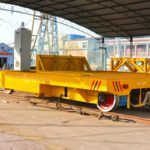 Except for transfer carts, we also provide other types of lifting devices, such as overhead crane, gantry crane, jib crane, boat travel lift, construction winch, marine winch, straddle carrier gantry crane. These device can be customized according to customers’needs.